Government Adda 247 CISF constable Government jobs CISF Recruitment for 429 Posts of Constable. CISF Recruitment for 429 Posts of Constable. CISF Recruitment for 429 Posts of Constable - Apply Online. 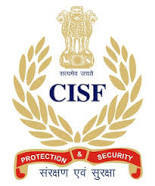 CISF Recruitment/CISF Bharti 2019, Central Industrial Security Force CISF has released the notification for the recruitment of 429 Head Constable Posts. Online Applications are invited from all interested Male and female Indian citizens for filling up the following temporary posts of Head Constable (Ministerial) in Central Industrial Security Force. All the eligible and the interested candidates can apply for the posts and the last date to submit the online application is 22 February 2018. To know more about the exam notification check the information given below. शैक्षणिक पात्रता : 12 वीं पास. आयु सीमा : न्यूनतम: 18 साल, अधिकतम: 25 वर्ष. ऊपरी आयु सीमा अनुसूचित जाति / अनुसूचित जनजाति 5 साल, अन्य पिछड़ा वर्ग 3 साल, विकलांगों को 10 साल, पूर्व सैनिक को 5 साल.